The Pacific Grove neighborhood of Country Club Gate/Forest Grove is a small neighborhood of mainly single level homes as well as condos situated by Pacific Grove High School and Forest Grove Elementary School. 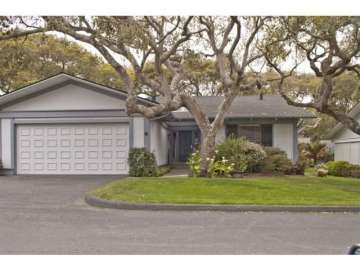 It is an ideal location for families with school-age children as you are part of the award winning Pacific Grove Unified School District, as well as those looking for a condo in a convenient and peaceful neighborhood. The neighborhood also contains Higgins Park, located at the intersection of Forest and David Avenue with a picnic area. The neighborhood is bordered by Congress Avenue to the west, Hwy 68 to the east, Cedar Street to the north and David Avenue to the South. The neighborhood is located by the Country Club Gate to Pebble Beach for convenient access to golfing, beaches and the Pebble Beach resorts including the Pebble Beach Lodge and the Inn at Spanish Bay. The neighborhood is conveniently located by the Country Club Shopping Center which is a bustling center for running errands and picking up everyday essentials with a grocery store, pharmacy, bank, pet store, several salons, dry-cleaners and a great neighborhood Taquería. For more shopping and dining options, a quick drive up Hwy 68 will provide you with the popular Trader Joes, Safeway and a number of dining establishments. You can often accomplish everything on your to do list without traveling beyond a one mile radius. Perfect for those who enjoy walking or biking to where they need to be. Click here for all available homes in the Pacific Grove neighborhood of Country Club Gate/Forest Grove. For all available Pacific Grove real estate, click here. 9 homes sold in this neighborhood in 2018. The most expensive home to sell was a 2 bedroom, 2 bathroom, free standing, single level condominium with 1,526 SqFt of living space on a 2,096 SqFt lot and sold for 725K. The least expensive home to sell was a 3 bedroom, 2.5 bathroom, 2-story residence with 1,488 SqFt of living space on a 1,518 lot and sold for 605K. 8 homes sold in this neighborhood in 2017. The most expensive home to sell, sold for 809K for a 2 bedroom, 2 bathroom condominium with 1,567 SqFt of living space on a 1,646 SqFt lot. The least expensive home to sell, sold for 600K for a 3 bedroom, 2.5 bathroom for a 1,488 SqFt condominium on a 2,621 SqFt lot with a 2-car garage. 11 homes in this neighborhood sold in 2016. The most expensive home sold for 839K for a 3 bedrooms, 2 bathroom, 1,735 SqFt home on a 2,594 SqFt lot. The least expensive home sold for 545K for a 2 bedroom, 2 bathroom condominium with 1,135 SqFt of living space. In 2015, 8 homes sold in this neighborhood. The most expensive home sold for 667K for a 3 bedrooms, 2 bathroom, 1,735 SqFt single-level home on a 2,959 SqFt lot. The least expensive home sold for 480K fora 2 bedroom, 2 bathroom 1,330 SqFt end-unit on a 2,149 SqFt lot. 8 homes in this neighborhood sold in 2014. The most expensive was a 1,735 SqFt, 3 bedroom, 2 bathroom townhouse with 1,900 SqFt of land, which sold for 595K, while the least expensive was a 1,267 SqFt condo with 2 bedrooms and 2 bathrooms which sold for 490K. In 2013 5 homes sold in this neighborhood, the most expensive home sold in the neighborhood was 1,300 SqFt condominium which sold for 530K, while the least expensive was a 1,100 SqFt condominium, which sold for 439K. In 2012 there were approximately 12 home sales in the neighborhood of Country Club Gate/Forest Grove. The most expensive home sold for 532,500 and was 2 bedroom, 2 bathroom condominium with 1,567 SqFt of living space. The least expensive home sold for 255K and was a 2 bedroom, 2 bathroom condominium with 1,134 SqFt of living space. For a detailed analysis of Pacific Grove real estate sales, check out our monthly Community Market Reports. Accessibility and convenient everyday living are key characteristics of the Country Club Gate/Forest Grove neighborhood. These affordable homes and condos offer value in the coveted town of Pacific Grove where the beauty of the coast, the charms of downtown Pacific Grove and the world renowned Pebble Beach golf courses and resorts are yours to explore and enjoy. Hop on your bike or pack a picnic and head to Asilomar State Beach where you can spend the day on white sandy beaches and take in the dramatic seascape. Perhaps drive just a mile away to Spanish Bay for a tee time on its challenging and breathtakingly beautiful greens. You are also just a short drive away to Monterey, rich in history where you can watch the boats come into the harbor, check out the acclaimed Monterey Aquarium on Cannery Row or learn to scuba dive in the waters of Monterey Bay. Whether you enjoy an active lifestyle or take comfort in a quiet environment where all your needs can easily be taken care of from the comfort of your own neighborhood, your home in Country Club Gate/Forest Grove is a wonderful home base for affordable living in a world class location.